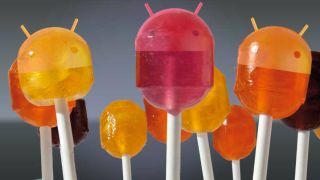 If you're the first one in your friendship group using Android 5.0 Lollipop, then you have Google's blessing to make fun of your mates. "We want people who have 'material [design]' devices to make fun of their friends who don't," Google's VP of Product Management for Android, Brian Rakowski told Cnet in an interview. The comment came after Rakowski spoke about Google's new advertising that will focus on Lollipop and its Material Design UI. Traditionally, any new version of Android has seen a slower uptake than rival iOS due to the sheer amount of different devices running the open source OS. But it looks like Google's taking a grassroots approach to fixing that. No doubt we'll soon be hearing countless stories about playground bullies making fun of the kids who are still using Android KitKat. Hahaha, those stupid kids. Someone's finally made a working hoverboard and no, it's not cheap. Bill Murray's first cell phone is a BlackBerry. Watch this guy's reaction to his screw-up during an iPad Air 2 demo.